Opening reception to begin at 7:00pm. THERE IS NO COST TO PARTICIPATE IN THIS RETREAT FOR FAMILIES AND PATIENTS WITH AN ACTIVE AND/OR RECENTLY TOLORIZED INHIBITOR. ALL MEALS, HOTEL ACCOMMODATIONS, PARKING AND SHUTTLE TRANSFERS ARE INCLUDED. FOR QUESTIONS/CONCERNS, PLEASE CONTACT KRYSTLE AT KRYSTLE.ROBERTS@NYHEMOPHILIA.ORG. TO REGISTER FOR THIS RETREAT VISIT: BIT.LY/INHIBITOR2018. 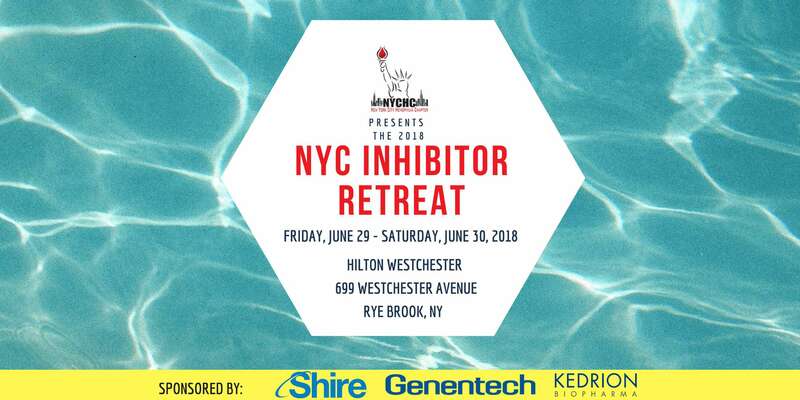 The follow industry partners have generously sponsored the 2018 NYC Inhibitor Retreat: Genentech, Kedrion, and Shire.